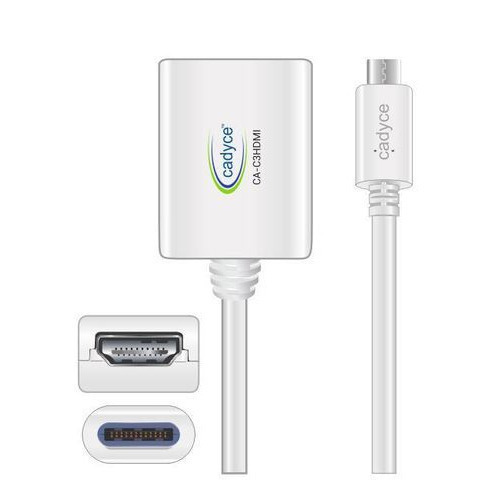 We are placed among the noteworthy organizations, engaged in offering high quality USB C 3.1 to HDMI Adapter with Audio. It is designed to supply the connection of computer peripherals like keyboard, mouse, printers, scanner, etc. This adapter ensures to prevent unwanted interference from entering the signal path and transfer high quality signal without any loss. Manufactured using excellent quality raw material and ultra-modern technology, this adapter is also checked on various quality parameters by our quality controllers. The offered USB C 3.1 to HDMI Adapter with Audio is available with us in various specifications as per the need of our clients.